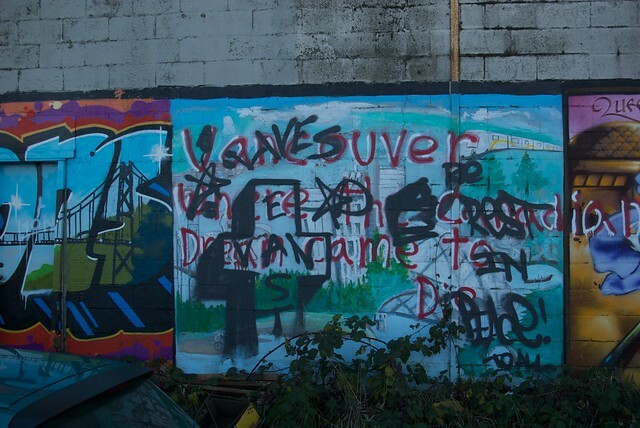 Despite unanimous opposition from speakers and other councillors, as well as organizations like the Pivot Legal Society and the Vancouver Public Space Network, the Vision-led Council voted last night in favor of the bylaw. COPE Councillors Cadman and Councillor Woodsworth were against, arguing that the bylaw was still too limiting and the $1000 fine too punitive. Cadman pointed out that as it stands, it is likely there will be another expensive court case: “It’s more money down the drain…It simply is not going to stand the test in court” (CBC). Both the Falun Gong protesters and the Pivot Legal Society argued that the new bylaw remains unconstitutional. The bylaw represents a “prior restraint on speech” and puts a “chill on free expression,” according to Micheal Vonn. Vonn said the situation is identical to the illegal sign bylaws proposed in the months prior to the Olympic Games. The Olympic bylaws restricting non-commercial signs deemed “not celebratory” of the Olympics was thrown out after the BCCLA launched a litigation process with anti-Olympic activists. The Olympic bylaws were attemptedly forced through by the same Vision council now trying a similar strategy for a second time. Posted in City Hall, News, Public Expression. Bookmark the permalink. NO respect for rights/freedom of expression/homeless/etc. boycott vision next election (or the entire process all together). There are no electoral stakes for Vision right now. COPE has already decided to back them in the upcoming election… running only 3 candidates for council. What was supposed to keep this from passing? Vision’s conscience? “Public process”? good point, hopefully there are some strong independents and newcomers… also, somehow npa are starting to look better and better everyday, playing the anti-establishment angle… we’ll see how this goes eh?